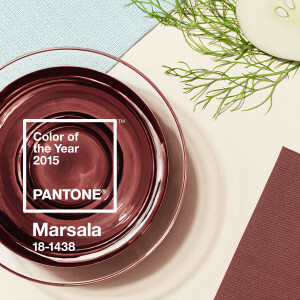 Pantone has declared Marsala (18-1438) Colour of the Year for 2015. It’s an unusual choice, and responses have been mixed in the world of design. It has been more favourably embraced in the fashion industry. But I like its uniqueness. 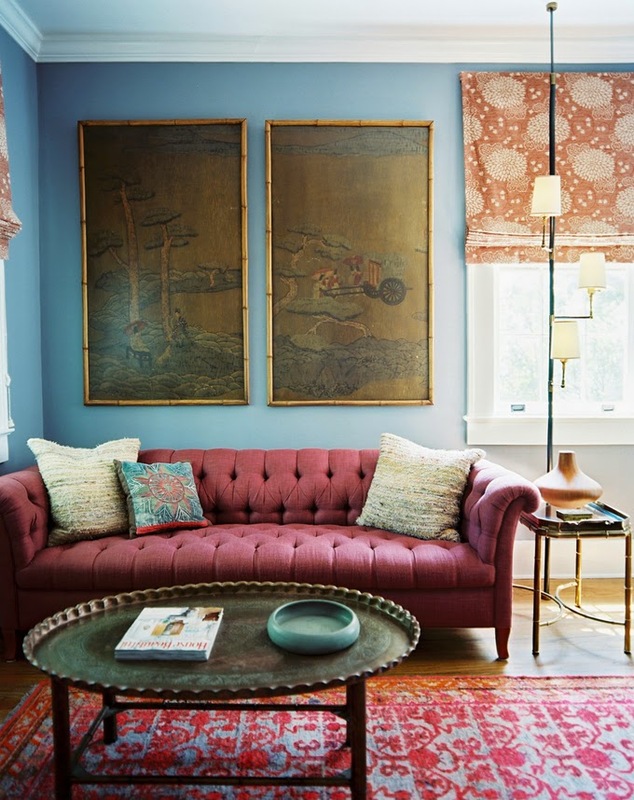 It’s a rosy spot in an era of greige and neutrals. 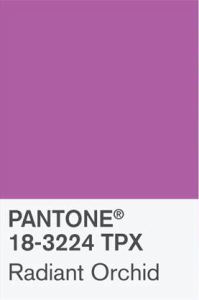 It’s certainly better than last year’s, “Radiant Orchid,” which was virtually unworkable from a décor perspective, unless your client was, a) a six-year-old girl, or b) Baskin Robbins. Combined with neutrals, Marsala adds warmth and even maturity. 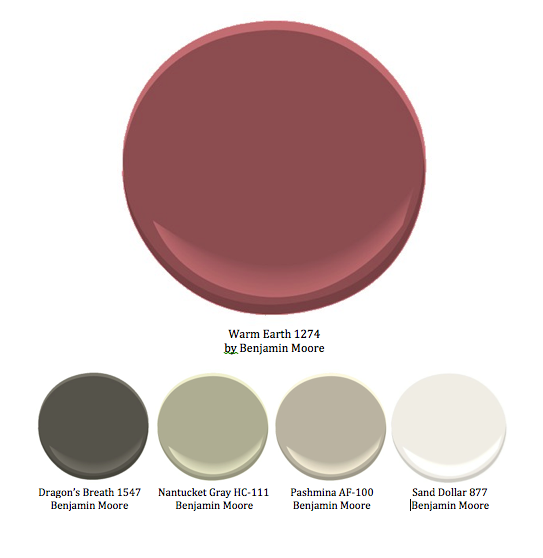 Too dark to be truly flirty, this wine-inspired hue nevertheless brings sumptuousness into any room. 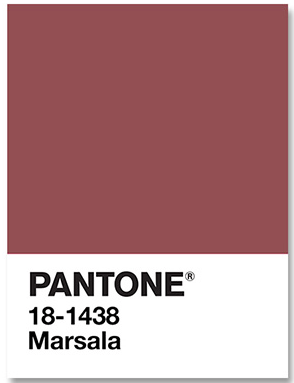 I think my favourite Marsala pairing is with turquoise and shades of pale blue. 1) Any grey or off-white with green undertones. 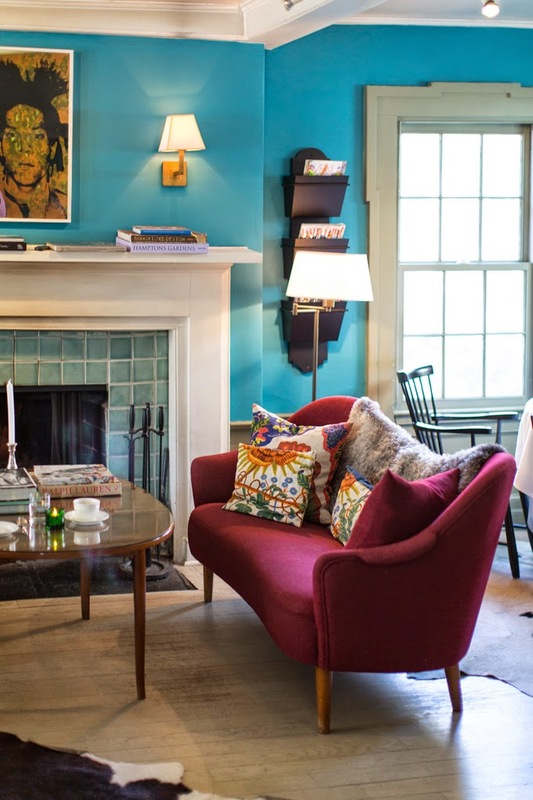 Green is opposite to red on the colour wheel, which creates a balanced visual dynamic: one cool tone, one warm. Think: wine cellar. Green bottles and red vintage. 2) Teal, pale turquoise or blue-grey. 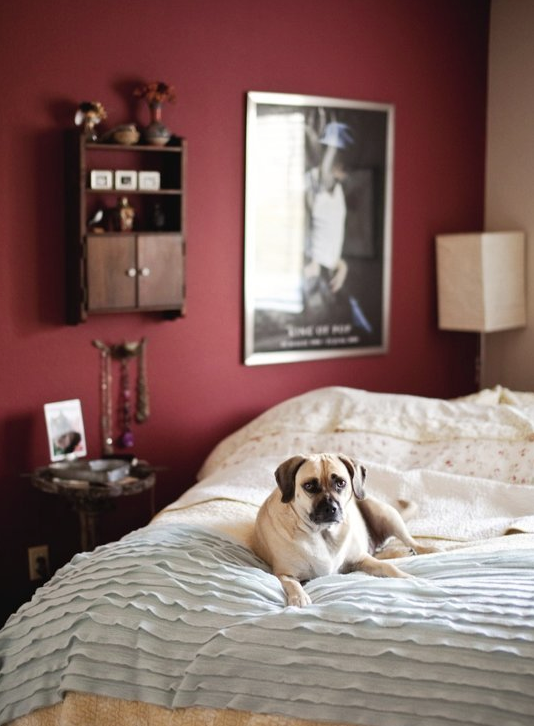 Marsala is earthy, but with undertones of berry red. 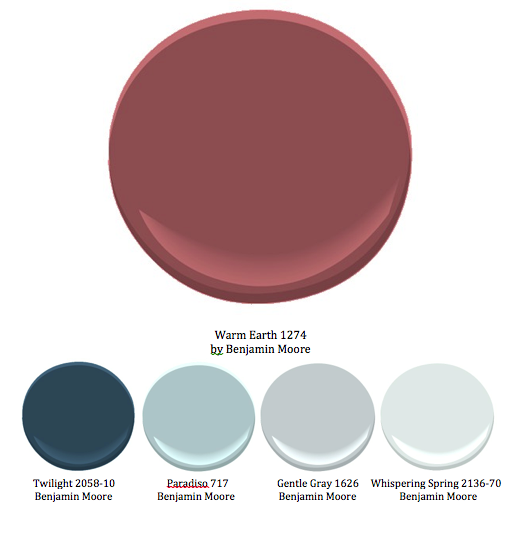 Blue shares these tones, which links the two colours, yet the warm/cool balance remains. Think: cherry blossoms against a blue sky. This was the colour of my entryway/foyer in my last home and it was always a warm welcome when I walked through the door. 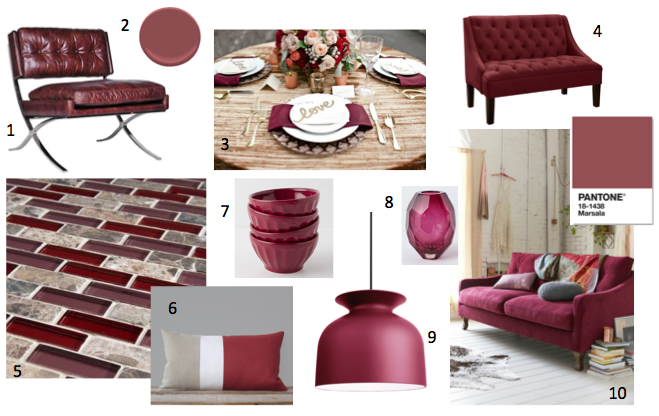 I paired it with a walnut bench, an oversized mirror and 24″ square tiles that had shades of dark grey, metallic silver and deep burgundy (sounds odd but they were beautiful). Now I’m tempted to paint something in my current home that colour again! It doesn’t sound odd at all! (At least, not to me!) It sounds very inviting. If you work with “Marsala” again, send pics! True! 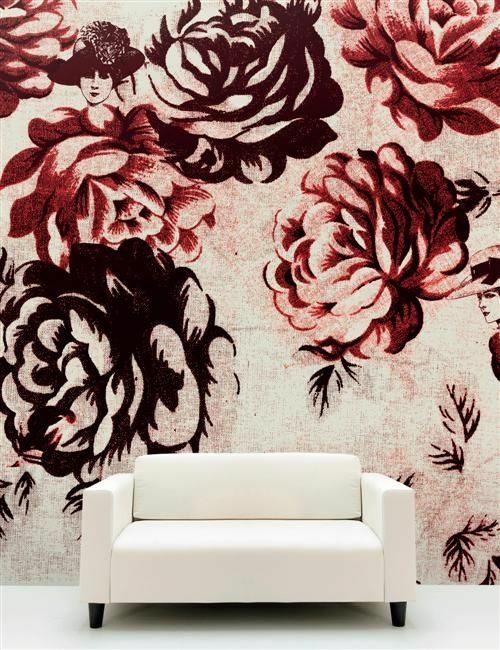 It’s a classic, warm colour, and quite versatile.